Pure & Organic. Highest Quality Organic Cold Pressed. 8 oz. Sourced from Spain. Best Carrier Oil for Aromatherapy. Natural Massage Oi. Moisturizing & Organic Skin Care for DIY Beauty Care. 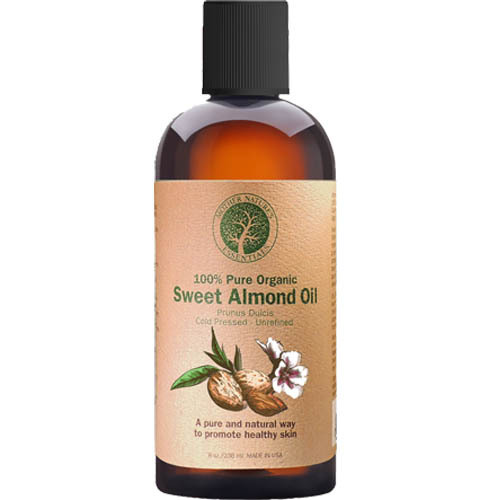 Organic Sweet Almond Oil has been the best secret for smooth skin and healthy hair for its nutrient rich properties. 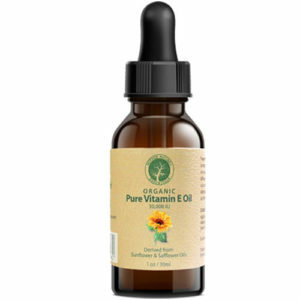 It helps maintain moisture levels of the skin and gets absorbed in a fast, without blocking the pores. 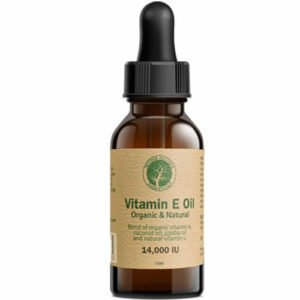 It has been known to help: – Improves complexion and retain a healthy glow – Deep Moisturizer – Soothes skin irritations and skin inflammation – Relieve dry and irritated skin – Nourishes skin, making it softer and smoother – Cure chapped lips and body rashes – Loaded with antioxidant it is a great firming and Anti-Aging Oil. Organic Sweet Almond Oil Prunus Dulcis. Premium fresh Sweet Almond Oil, highest quality available. Non-GMO. Hexane-Free. Vegan. No animal testing. Hypoallergenic. Cold-Pressed. Unrefined. In amber bottle and heat sealed cap. Sweet Almond Oil is a non-volatile, non-fragrant oil rich in Vitamin A, E, B, D, proteins, zinc as well as essential minerals such as calcium, potassium and magnesium. Perfect for nourishing and restoring all skin types. Easily absorbed and won’t clog pores, supporting healthy, soft, glowing skin and hair. Natural Skin Care for Homemade Beauty Care. A perfect addition to your favorite DIY skin care recipe – skin creams, body oils, lip balm, face serums, leave-in conditioners, etc. 100% CUSTOMER SATISFACTION GUARANTEE. Customer service is our top priority. Love our Sweet Almond Oil or choose between a full refund or a free replacement. ORDER NOW while at SPECIAL SALES PRICE. Click ADD TO CART. I absolutely love this product. I have never used it before, and I have used many facial oils etc. This almond oil makes my skin LOOK and FEEL so much better. I will definitely buy it again and again. Fantastic! This is also one of my favorites. You can use it for a lot of things. I use it also for oil pulling after I brush my teeth. It also does amazing things for my hair. If you ever need anything please feel free to reach out to me.